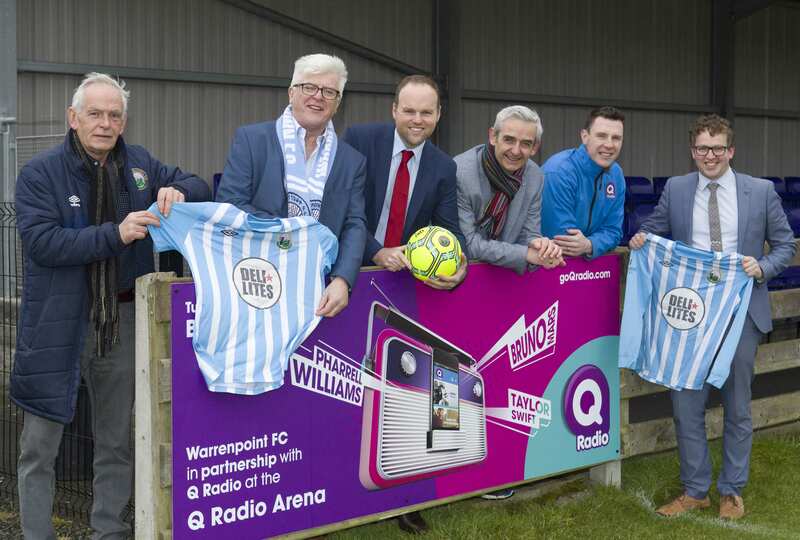 The ground formally known as Milltown Stadium has been renamed the Q Radio Milltown Arena in a partnership announced by the award-winning locally owned radio station. The station, which recently announced five FM licence extensions, joining the seven regions already tuning in, is now rolling out it’s content over a wider geographical footprint than ever before. 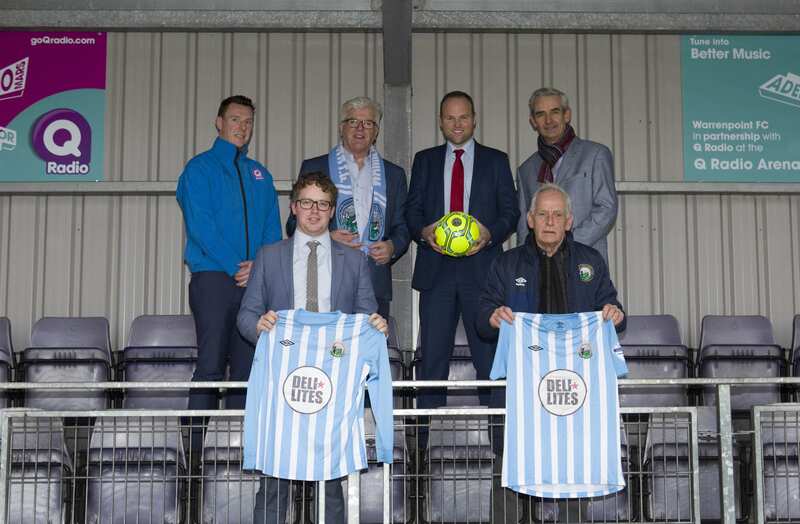 ‘We are delighted to be joining forces with Warrenpoint FC at a time when the club is enjoying a hard won promotion to the NIFL premiership. The Warrenpoint and Newry listeners have been a part of this very exciting Q Radio journey from the start and this partnership represents a fantastic opportunity to engage and interact directly with our listeners. “Q Radio prides itself on being a local station with local content for local people, as well as in our ability to become part of the fabric of the communities in which we broadcast. ‘This is an incredibly exciting time for the club. We are committed to developing relationships and establishing connections right across the local community and a partnership with the leading local radio station gives us the opportunity to do just that. 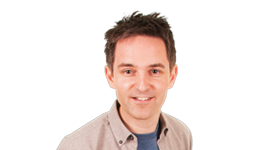 “We are currently the youngest club in the NIFL premiership and it has been an incredible journey to get here. We certainly have a story to tell and look forward to sharing this with Q Radio listeners across Northern Ireland.